Texas-born Kathleen Tankersley Young (1903–1933) published a book of Ten Poems in 1930 and along with Charles Henri Ford and Parker Tyler, was one of the founding publishers of the literary magazine Blues: a Magazine of New Rhymes (1929-1930). When the magazine closed, she planned a new journal under her own imprint, Modern Editions Press, published by Eric Naul. The Modern Editions Press published two series of pamphlets in 1932 and 1933. The first series consisted of six pamphlets which included short stories, poems, and a statement. The six contributors were Dudley Fitts, John Kemmerer, Kay Boyle, Kathleen Tankersley Young, Raymond Ellsworth Larsson and Albert Halper; each one illustrated with an original print by a contemporary American artist. The second and final series of eight pamphlets was published in 1933 and consisted exclusively of work by poets, including Lincoln Kirstein, Horace Gregory, Raymond Ellsworth Larsson, Kathleen Tankersley Young, Paul Bowles, Laurence Vail, Carl Rakosi, and Bob Brown. Each was published in an edition of 100 copies. Young traveled to Mexico in 1933 where she died unexpectedly and the Modern Press Editions came to an end. 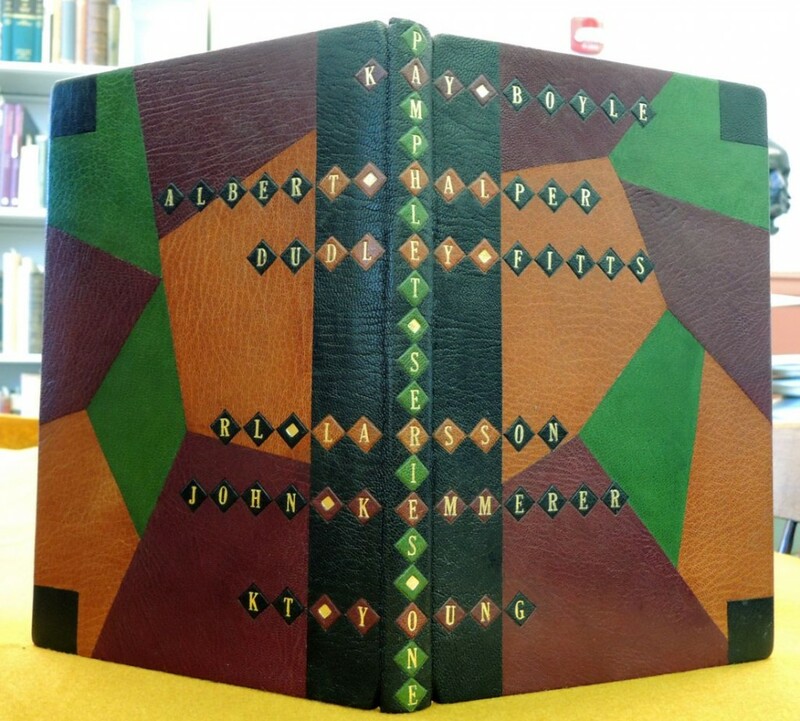 The Graphic Arts Collection is fortunate to have acquired the first series of pamphlets, bound together in this colorful unsigned binding. 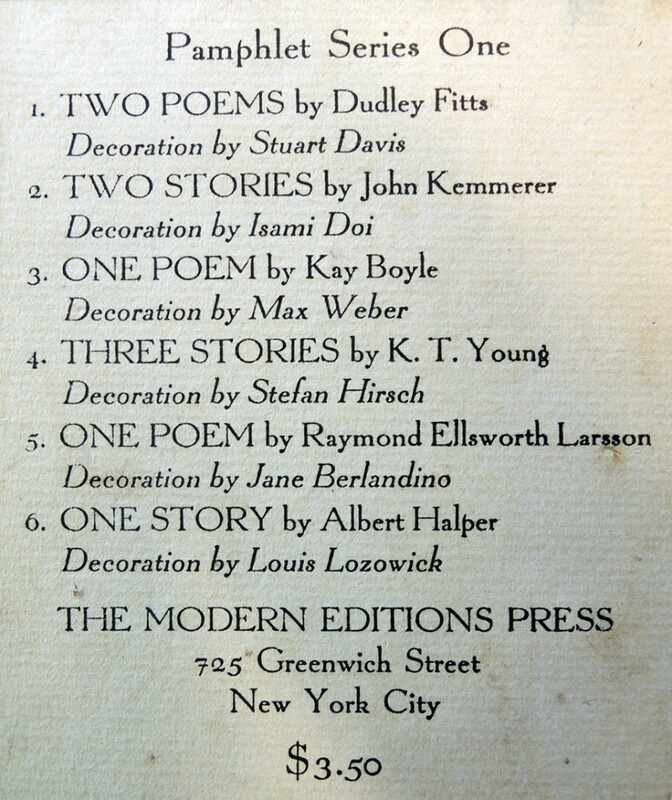 Dudley Fitts (1903-1968), Two Poems ([New York]: Modern Editions Press, 1932). 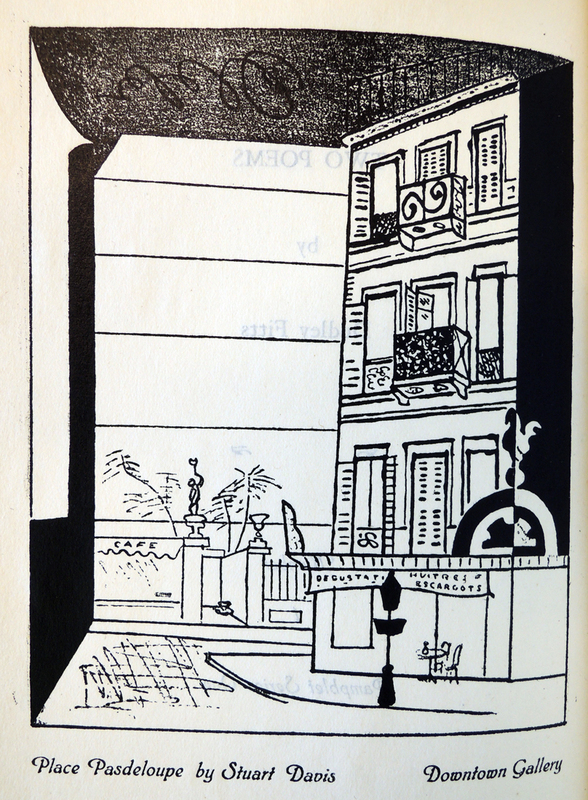 Frontispiece by Stuart Davis (1892-1964). John Kemmerer, Two Stories ([New York]: Modern Editions Press, 1932). Frontispiece by Isami Doi (1983-1965). Kay Boyle (1902-1992), A Statement ([New York]: Modern Editions Press, 1932). Frontispiece by Max Weber (1881-1961). Kathleen Tankersley Young (1903-1933), The Pepper Trees: a cycle of three stories ([New York]: Modern Editions Press, 1932). Frontispiece by Stefan Hirsch. Raymond Ellsworth Larsson (1901- ), Wherefore: Peace ([New York]: Modern Editions Press, 1932). Frontispiece by Jane Berlandino. 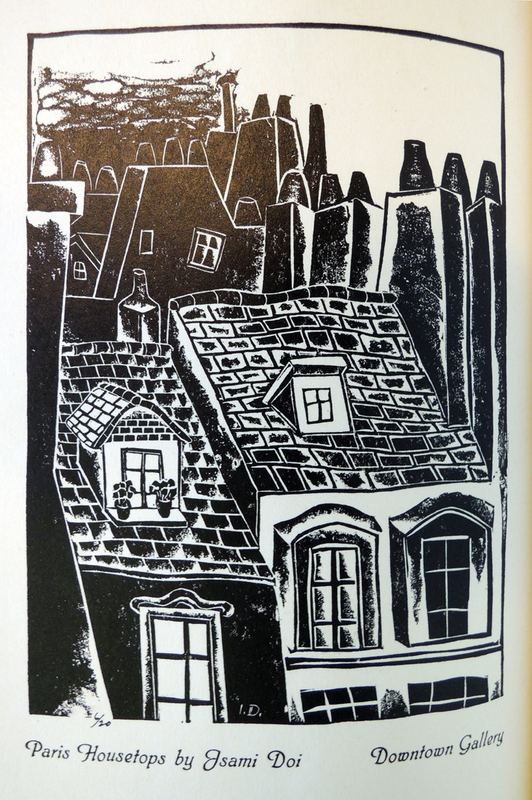 Albert Halper (1904-1984), Chicago Side-Show ([New York]: Modern Editions Press, 1932). Frontispiece by Louis Lozowick (1892-1973). This entry was posted in Acquisitions, fine press editions on January 30, 2014 by Julie Mellby.